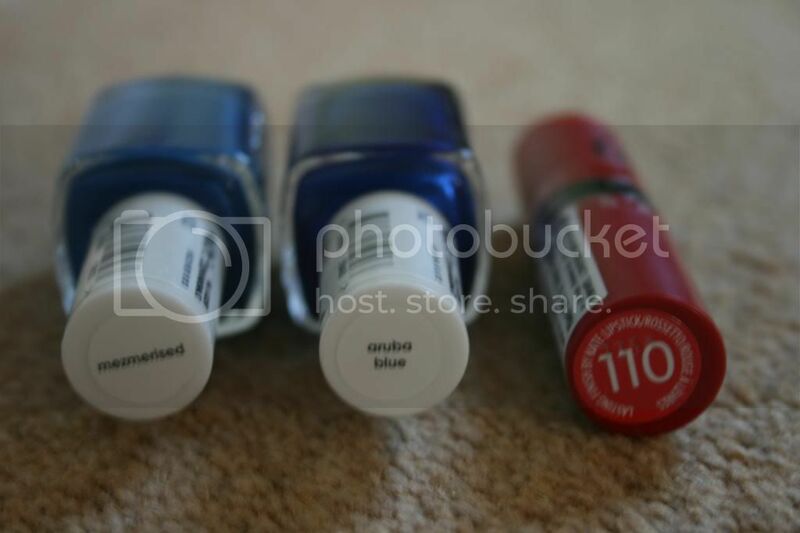 Emily's Blog: I won a giveaway! So, wow! I can't believe that I actually won, I am quite lucky in things I enter for, but never thought I would win a giveaway. Just thought, I would show you the items. 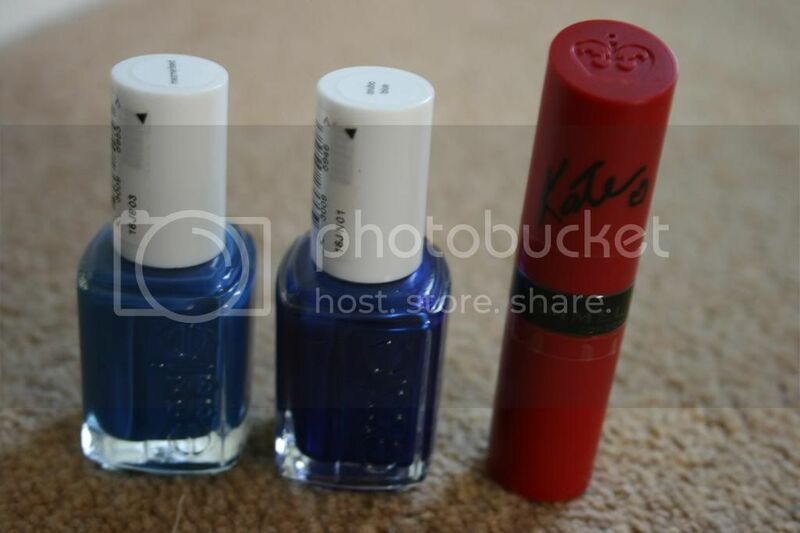 I had to choose 2 essie polishes and 1 rimmel lipstick. 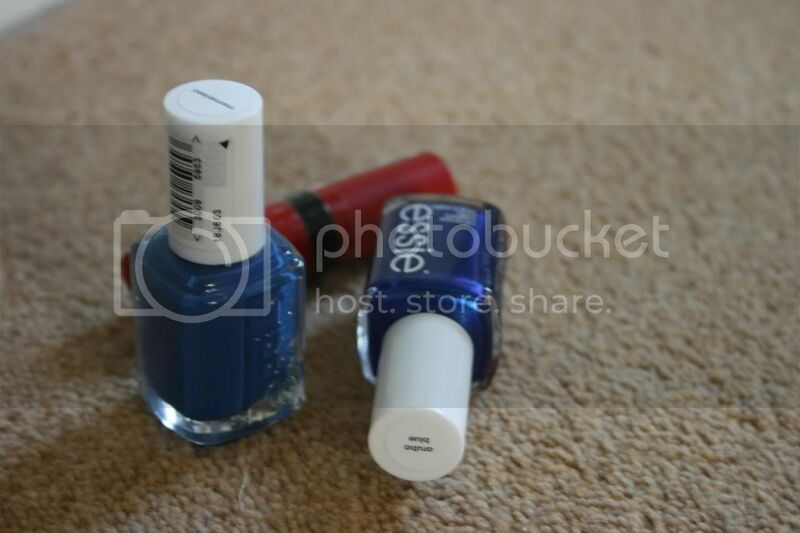 I chose the shades "Aruba Blue" and "Mesmerized", both lovely shades of blue. I also chose a kate moss lipstick in 110, this is a lovely red colour with a hint og coral, something that will be nice to wear in the spring (if we get get there eh! We have had snow in England if you haven't noticed). I would like to thank Hanne over at talbsx for the lovely prizes!